"A gaping hole in the heart of British choral music"
‘It is the offspring not only of a finished musician but of a cultivated thinker. For such a possession art is the better and England the richer.’ Charles Villiers Stanford writing on Judith, 1888. 2018, the year of the centenary of his death, saw a widespread reawakening of interest in the music of Hubert Parry, including the release of three discs of his complete English Lyrics on SOMM Recordings. Yet, particularly in the world of choral music, many of his large-scale works were overlooked in favour of well-known classics, such as the Songs of Farewell, Blest Pair of Sirens, or I Was Glad. The London English Song Festival’s performance of Charles Hubert Hastings Parry’s oratorio Judith on 3 April promises to be one of the most important revivals of English music for many years. A work of considerable stature and irresistible quality, Judith has not been performed in the UK since the 1950s; in London its last performance was at St James’s Hall in 1889 - 130 years ago! It has never been recorded. Parry was the master of large choral and orchestral forces, and Judith features spine-tingling choruses and a dramatic story. It was an overwhelming success in Victorian England, performed by some of that era’s greatest musicians all over the UK, and it contains the melody that later, under the name Repton, became the famous hymn Dear Lord and Father of Mankind. 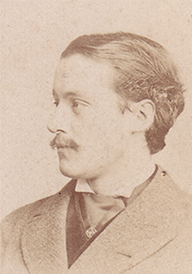 George Grove appointed Parry as the Royal College of Music’s professor of composition and musical history in 1883, and he was finally able to put his unhappy career in insurance (he had been underwriter at Lloyd's of London from 1870 to 1877) behind him. The 1880s was a decade when he emerged as a composer of stature, with a reputation as a symphonist and as writer of choral music. His dramatic cantata, Scenes from Prometheus Unbound, had been performed at the Gloucester Three Choirs Festival of 1880 and he was again commissioned to write a short choral work for the Gloucester festival in 1883. Blest Pair of Sirens of 1886, setting Milton’s ‘At a solemn musick’ was commissioned by Stanford and the London Bach Choir to mark Queen Victoria’s Golden Jubilee and was received with adulation by the public and critics alike. Shortly afterwards, Parry was commissioned by the great triennial festival at Birmingham to write a large-scale oratorio. Extensive choral participation was part of the brief: the Birmingham committee insisted on, as Parry put it, ‘regular oratorio’, and after much thought he settled on the dramatic story of Judith during the reign of the repentant Jewish king, Manasseh. After some wrangling with the Birmingham committee, Judith was performed on 29 August under the direction of the festival conductor, Hans Richter. Parry's new oratorio was well received and was soon taken up by choral societies around Britain, notably in Edinburgh, London, Cambridge, Gloucester, Bristol and Oxford. The work contains many impressive choral movements, particularly in such numbers as ‘Our king is come again’ and the final fugue (‘Put off, O Jerusalem’) and the solo work is thrilling. The hymn tune Repton originated in the ballad of Meshullemeth, the queen-mother (‘Long since in Egypt’s plenteous land’), who sings of the early Israelite history to her children. It seems that Judith fell out of favour and fashion, along with much of Parry’s music, after his death. The next generation of composers took British classical music in a new direction: no bad thing, but with hindsight it was a pity that much of the finest of late 19th century music was discarded. The more I studied the score, playing through sections of choruses and arias with groups of singers, the more I grew to regard the neglect of this work as a gaping hole in the heart of British choral music. And so, on Wednesday 3 April 2019, at Royal Festival Hall (an organ is crucial to a full performance! ), Judith will receive its first London performance since the 19th century and its first UK performance within living memory. The soloists will be Sarah Fox as Judith (she features on discs 2 & 3 of the SOMM English Lyrics, as it happens), Kathryn Rudge as Meshullemeth, Toby Spence as Manasseh and Henry Waddington as High Priest of Moloch & Messenger of Holofernes. We will go on to record it for Chandos Records later in the month. I am thrilled to be conducting the four of them alongside the London Mozart Players, Crouch End Festival Chorus and a superb chorus of children, specially selected for the occasion. Join us! The chairs were out for the returns queue at the Royal Festival Hall on Sunday night. 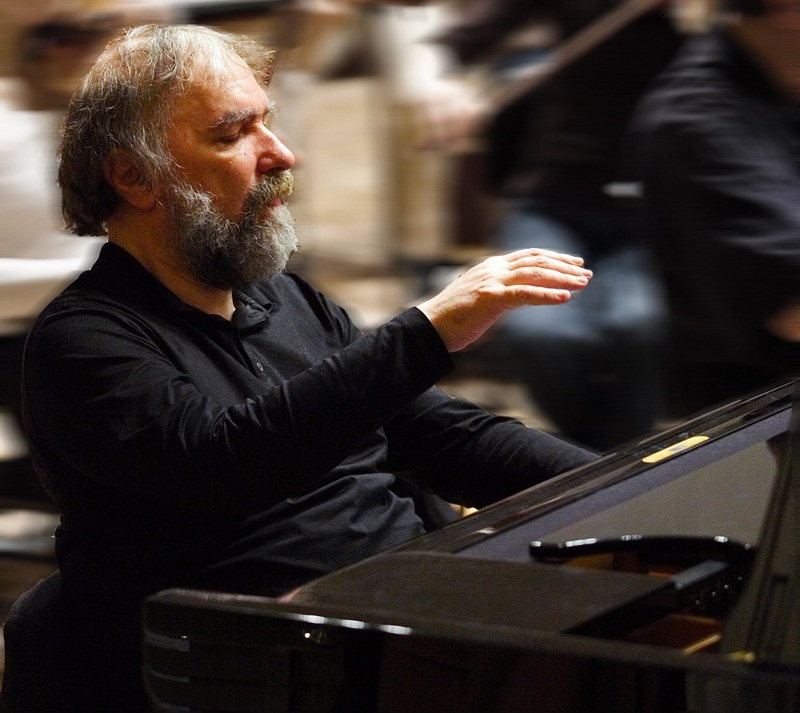 Word was spreading that this might be the last chance for London to hear Radu Lupu play. He has long preferred to avoid the capital's concert halls - whether because of iffy acoustics, acidic critics or other reasons I could not say - and an appearance with the Philharmonia Orchestra and conductor Paavo Järvi for Beethoven's Fourth Piano Concerto looked almost too good to be true. Lupu, 73, is tall and imposing on the platform, yet somewhat frail in gait and balance. His Beethoven came through in parts almost as a memory of the concerto. Yet the unique quality of his playing lies in the touch itself. It's the transparency of tone, the cushioned finesse of it, and the way he turns a phrase that, in a matter of a few notes, suggests a deep, empathetic humanity and a profound love for the music. He uses a chair rather than a piano stool and sits at the keyboard almost as others might at a desk, as if making notes (in every sense, of course). He's thinking aloud with his hands. His playing is a form of writing, a direct channel from mind and spirit. And it is quiet, fabulously so. Rather than slamming out sounds to reach the back of the auditorium, he pulls the audience in towards him, forcing you to listen. A few memory lapses were accompanied by a half-humorous dismissive gesture with one hand; and in the final movement's cadenza he wasn't above turning a pause into a joke, catching Järvi's eye as if to say 'OK, wait for it....' Järvi proved the perfect accompanist, deferring to Lupu but keeping everything gently on the rails, perhaps stoking up the orchestral energy if the solo line had wandered into the realms of introspection just before. One hopes that the suggestion Lupu might be winding up his concert schedule this year is not true, but it wouldn't surprise me if it is. I'm sure I wasn't the only person present who listened to his exquisite encore of Brahms Op.117 No. 1 - the darkest of whispered lullabies - with a fearful lump in the throat. Järvi, having proved himself a master of managing energies, did so again in the second half, with a taut, glistening, impassioned account of the Rachmaninov Symphony No.2. It was the perfect cathartic finale for a rather emotional concert hall, and as an interpretation it had the glorious variety of a great epic narrative: the elemental fire of Tolstoy, the fantastical colours of Bulgakov and the aching passion of Chekhov. The Philharmonia played as if their lives depended on it. Are symphonies from memory bad news for pianists? If you want music to lift you clean out of your chair, go and hear the Aurora Orchestra play a symphony from memory. All this was tremendous fun. No musician escaped this little production of Frankenstein!! without having to don a silly hat or find a hobby horse ogling at her, and conductor Nicholas Collon had to turn into Superman, with cloak and red lycra underpants. Frankenstein! !, if you haven't heard it, is a bit like Kurt Weill mixed with Monty Python on speed. It's totally wonderful and completely bonkers. But after the interval came Aurora's famous speciality, a symphony performed from memory, and it was Beethoven's Fifth. Whatever this concert's conceptual presentation, this was the absolute real deal. Do you think you know this piece? You might find yourself reassessing that notion at such a performance. Even the arrangement of the orchestral forces is theatrical - the contrabassoon entering after the slow movement to sit with the double basses, and the piccolo standing prominently beside the timpani, her interjections in the finale all the more noticeable as a result. The finale is all Handel and Haydn to begin - this was a composer who surely knew his Zadok the Priest and his Creation's Sunrise episode - with a hefty dose of Mozart's Papageno in the coda, which is one big Haydneque joke (the never-ending movement idea later taken up by Dudley Moore, of course). The slow movement - to which Collon brought a lot of con moto, increasing the challenges for the already virtuosic string players - is a close sibling of the variations in the Appassionata, Op. 109 and Op. 111 piano sonatas, the note-values dividing more and more. Should one have noticed all this before? Assuredly yes (if you're a critic, at least). The thing is, when one aspect of what you're hearing makes you hear something in a new way, the brain starts connecting in new ways too, and you start questioning and listening differently and noticing all manner of things that you might simply have taken for granted. No chance of taking anything for granted with this lot. The whole thing flew. At the end the packed audience - young, on average, and maybe not just because this was 4pm on a Sunday afternoon - got up and yelled. Aurora hasn't only pushed the envelope. It's an orchestral rock star. If you've ever played in an orchestra, can you imagine learning a whole symphony from memory, standing up (unless you're a cello, bass or that contrabassoon), interacting with your fellow musicians, having to concentrate even more than you would be at the best of times, having to know not only what you are playing but what everyone else is playing too and how it all fits together, and being able to see everyone else because you're not having to stare at the music? I can only imagine what a certain orchestra I know well would say if asked to do all this, and I reckon it wouldn't be a pretty form of words. But these results are transformative. There's an equality between sections, a sense of everyone interacting the way they would in chamber music. It's not only a question of breathing as one entity, becoming one big animal with lots of paws, as a great symphony orchestra with top conductor can. It's a level of concentration and communication that pulls in the audience to be part of it too. So what are the implications for pianists? If you're playing solo, then there's only one of you and you don't have to choose between staring at the music or indulging in actual interaction with your colleagues and the conductor. If you're playing Bach fugues or Messiaen or Ligeti and suchlike, I wouldn't blame you one little bit for plumping for the old iPad. It won't serve as a barrier between you and anyone else and it will ease your mind and your nerves, which can only be a good thing. Well, we don't have an ideal world, in any way, shape or form. But Aurora shows that with enough vision, ambition and determination, transformative experiences are still possible. Bravi tutti. Asking because those of you who are as exercised as I am about the proper recognition of music that's written by women might like to join this splendid initiative from Heather Roche and the Southbank Centre. They're having a Wikipedia Edit-a-thon on Sunday 2 September, with the aim of adding more female composers to the site's database. Annoyingly, I will be away in Denmark then, having an actual holiday (cloning urgently required). If you're in London, grab your laptop and come and join us at the The Royal Festival Hall, where we'll provide support and socialising for fledgling editors. Or: set your laptop up and participate remotely; we'll be live streaming the event via Facebook and tweeting throughout the day with the hashtag #ComposingWikipedia. Currently, only 17% of Wikipedia's entries about people are about women and only 10% of Wikipedia's contributing editors are women. Creating a Wikipedia entry is a simple and effective way to raise the profile of a composer. It's also not difficult to do: Wikipedia has become easy to use with a Visual Editor and lots of clear resources. If you'd like to sign up, please visit this link. 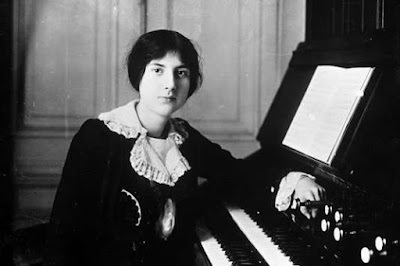 Pictured above, Lili Boulanger, one of the composers whose music is currently receiving wide acclaim and recognition in part thanks to this ongoing upswing of consciousness - a full century after her untimely death. So, my dear, some people were apparently quite surprised to see you playing in Chineke! But you are of an ethnic minority, technically - please explain? One of the main misconceptions of Chineke! is that only black musicians may play in it; the mission statement clearly says “ The organisation aims to be a catalyst for change, realising existing diversity targets within the industry by increasing the representation of BME musicians in British and European orchestras.” I am sure anyone strongly believing in this, as I do, would be most welcome to participate, as either a performer or indeed as a financial sponsor. I also feel a link with Africa: in my youth I was blessed with a splendid Afro haircut – my father used to say that I resembled the US activist Angela Davis... Obviously this stems from my Jewish roots. Going back thousands of years the Jews were undoubtedly descended from Africa. Hence my frizzy hair! Chineke! players come from all over the world and are performers at the top of their game. Tell us about who some of your colleagues were? Tai Murray, the orchestra’s leader is a truly marvellous violinist. At the age of 9 she debuted with the Chicago S.O. She has made a stunning recording of the Ysaÿe solo sonatas. Mariam Adam, the first clarinet, has worked with Yo-Yo Ma, played as a soloist at Carnegie Hall, and is now based in France. Samson Diamond, originally from Soweto, is now in demand everywhere as a freelance orchestral player. Mandhira de Saram is the leader of the Ligeti quartet. I loved the internationality of the orchestra. At least seven of the members are either born or based in Germany and Austria; from time to time I had to pinch myself – are we in London or Berlin?! What it was like for you all to integrate into one orchestra? How is it different from playing in your usual orchestra? I felt welcomed and very much at home from the start – musically it felt very similar to the high standard of the LPO. What was the atmosphere like in the rehearsals and the concert? The big difference is that everyone is in Chineke! because they passionately want to be there – as opposed to simply doing “the day job” to which you are so accustomed, however good that may be. Feeling that together we had achieved something really special by playing exceptionally well. As a musician, that is always the most important aspect. 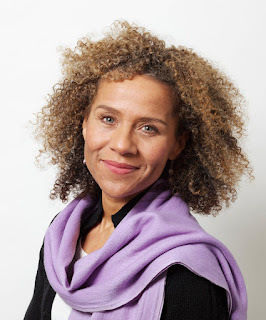 I think Chi-chi Nwanoku can be extremely proud of what she has created here! What’s the refurbished QEH like? You might not guess it from looking at the place from the other side of the river, but it is really wonderful. I played in it a lot 12 years ago when the RFH was being refurbished, and it is transformed. The stage is now much more comfortable and spacious and as it is wider, going clean from side to side of the hall, the acoustic is even better. The wood looks beautiful and shiny and warms up the hall. The foyer is big and welcoming and much more user-friendly. Well done, Southbank Centre – it’s money well spent! What do you “take away” from this experience? I love the sheer positiveness of Chineke!. When I really enjoy a concert, I want to shout from the top of the tallest building and tell the world. It’s depressing if you know full well an orchestra has done a wonderful concert, you say “that was great” and some cynic chooses to reply, “Was it?” Last night after the performance all my colleagues in Chineke! were enthusing about the great concert. Their wonderful inspiration is going to make me even more determined to enjoy the rest of my career! You can hear the concert, which was broadcast live on BBC Radio 3, on the iPlayer, here. Quick note: if you're around the Southbank Centre for the Belief & Beyond Belief Festival today, please pop along to the pre-concert talk. Tonight's performance includes Beethoven's Ninth, with the LPO conducted by Kazushi Ono [replacing an indisposed Christoph Eschenbach], and I've been drafted in to moderate a pre-concert discussion with professors Matthew Bell of Kings College London, an expert on German literature, and Benjamin Walton of Cambridge University's music department. We'll be exploring the history and context of the symphony and Schiller's Ode to Joy. Ballroom floor, Royal Festival Hall, 6.15pm. Please come along and say hello. Two or three years ago I wrote my first Cross Article about the sexism inherent in the classical music world and suggested we should have a new award - as there is in literature - for women in this industry. Now the Soutbank Centre is going a step further than that. To coincide with the WOW Women of the World Festival, and International Women's Day yesterday (which annoyingly I had to miss, any likely Budapest version having been in Hungarian), the Southbank is announcing the launch of the first-ever awards for Women in the Creative Industries. Music forms one little part of this. I hope that the achievements of women in classical music will be recognised in full in future awards, and that as one of the smaller corners of the creative industries this vital and ever more active sphere will not be entirely marginalised. I think there's been a lot of progress since that initial Cross Article. It seems to me that scales - so to speak - have fallen from some eyes (though there's always room and time for more to glitter down). There's been an awakening, and with increased awareness some increased action has come about, from such institutions as BBC Radio 3, the Cheltenham Festival, two important early music festivals last year - Brighton and London - and now the BBC Young Musician of the Year, which has made the inspired choice of the composer Dobrinka Tabakova to be chair of its jury for 2016. Even Pembroke College, Cambridge, is putting up a picture of its alumna Emma Johnson, the clarinettist - the first time it has ever commissioned a portrait of a woman in 650 years. Here's to much more celebration. I was looking for a "three cheers" video to post, but the only one that falls roughly within the remit of a classical music blog is an extract of HMS Pinafore that begins with three cheers and proceeds with a pompous man singing about being a captain, with a chorus interjecting "And we are his sisters and his cousins and his aunts..."
So instead, over to the Southbank to explain the awards. Today Southbank Centre launches WOW Creative Industries Awards, the first ever awards to honour women who are leading the way across the creative industries. Julia Peyton-Jones, Director, Serpentine Galleries and Paulette Randall, Theatre and Television Director and Playwright are honoured with a Lifetime Achievement Award and Bryony Kimmings, Live Artist, Playwright and Director will receive a Bold Moves Award. The awards, which will be presented annually at Southbank Centre’s WOW- Women of the World festival, will recognise significant achievements made by women in the arts, tech, music, film, games, media, fashion and advertising. The three inaugural awards are presented by Southbank Centre Artistic Director Jude Kelly CBE at today’s Women in Creative Industries Day and will be followed by a call for submissions ahead of the first full awards ceremony at WOW-Women of the World festival 2017. “Congratulations to Julia Peyton-Jones and Paulette Randall on their outstanding efforts being recognised with the Lifetime Achievement Award, and also to Bryony Kimmings for her valuable contribution to the arts. The WOW Women in Creative Industries Day is part of Southbank Centre’s week long 6th WOW- Women of the World festival. The day is an opportunity for men and women working across the creative industries to discuss how to achieve gender equality in the sector and a chance to celebrate some of the important improvements that have taken place over the last year. WOW Women in Creative Industries Day will include appearances from Alice Bah-Kuhnke, Swedish Minister of Culture and Democracy and Louise Jury, Director of Communications & Strategy at the Creative Industries Federation, Maria Eagle MP, Shadow Secretary of State for Culture, Media and Sport, and Damian Collins MP, Chair of the Conservative Arts and Creative Industries Network and previously a member of the Select Committee for Culture, Media, Sport and the Olympics. There will be speeches from Kate Mosse OBE, international bestselling author and Co-Founder and Chair of the Board of the Baileys Women’s Prize for Fiction, Lucy Crompton-Reid, CEO of Wikimedia, Amali de Alwis, CEO of Code First: Girls, Caroline Norbury MBE, founding Chief Executive of Creative England, Melanie Eusebe, award winning business expert and founder and chair of the Black British Business Awards, Sue Hoyle OBE, Director of the Clore Leadership Programme, Mira Kaushik OBE, Director of South Asian dance company Akademi and Zoe Whitley, Curator, Contemporary British Art at Tate Britain and Curator International Art at Tate Modern. ...with the first-ever virtual reality orchestra (an initiative with the Philharmonia) and a year-long festival with the LPO called Belief and Beyond Belief, echoing the concept of the groundbreaking The Rest is Noise cross-genre festival. • Chineke! is to be an associate orchestra, HOORAY! • Pianists giving recitals include Benjamin Grosvenor, Yuja Wang, Richard Goode and Maurizio Pollini among others. And Lucas Debargue, who made waves last year at the Tchaikovsky Competition, will be performing with the LPO. • The OAE's highlights include Bach with the legendary Masaaki Suzuki. • A major series of live film scores - an increasingly popular phenomenon - including an improvised organ accompaniment to Hitchcock's The Lodger. A lot more besides. See everything here. It's heartening - with the roll-out of fabulous programmes for 16-17 at the Barbican the other day, and now all of this - that despite everything, our cultural institutions can still produce exciting, attractive, fresh and inspiring programming at the highest international level. Did you know that the UK's creative industries are worth, to the economy, £10m PER HOUR? Apparently our creative sphere is growing at twice the rate of anything else. So keeping it on the rails, dear government, is really quite a good idea, please note. Great to see International Women's Day really flying this year. There's such a lot going on that I feel quite boggled. Of course, one looks forward to the day when women's equal representation, recognition, pay and respect are taken for granted as human rights and none of this special stuff will be necessary any more. Sad to reflect that instead we're thanking our lucky stars that we live in a part of the world where we have the freedom to have this festival. If you're in London, get yourself to the Southbank for the WOW Festival - Women of the World - culminating in the annual Mirth Control concert on Sunday night. It features Alice Farnham and Sian Edwards conducting an all-female orchestra in rare works by female composers including Florence Price, plus appearances by amazing singer Angel Blue, the brilliant West End star Sharon D Clarke, the marvellous young musician Ayanna Witter-Johnson, ace comedian Sarah Millican and more. Sandi Toksvig is compère. Explore the full WOW programme here. Over on BBC Radio 3 the celebratory programming started earlier this week and extends into next as well. UPDATE: fabulous article here by the R3 presenter Sara Mohr-Pietsch covering this ground and more. Here is their line-up for the weekend and next week. On Sunday it's the entire day. Donald Macleod interviews five female composers under the age of 35 - Charlotte Bray, Anna Clyne, Cheryl Frances-Hoad, Hannah Kendall and Dobrinka Tabakova. It's the strange case of the missing Rite of Spring. 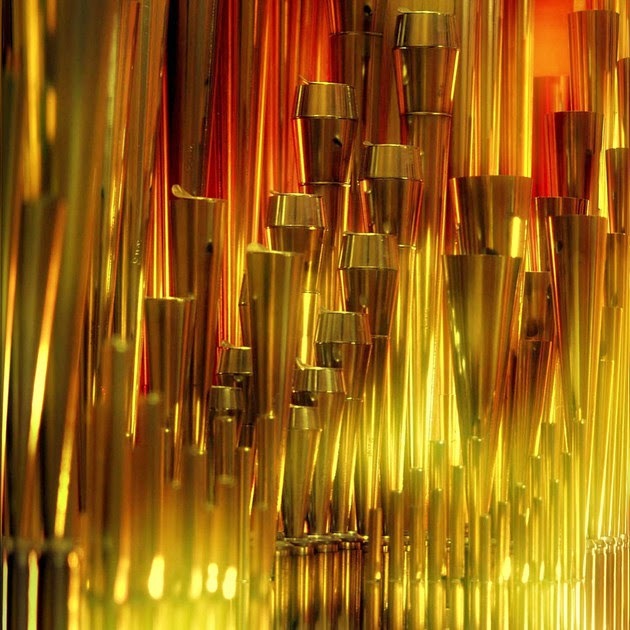 The launch of the Royal Festival Hall's newly refurbished organ has been dominating the Southbank Centre all this week, with a no-holds-barred festival called Pull Out All The Stops. 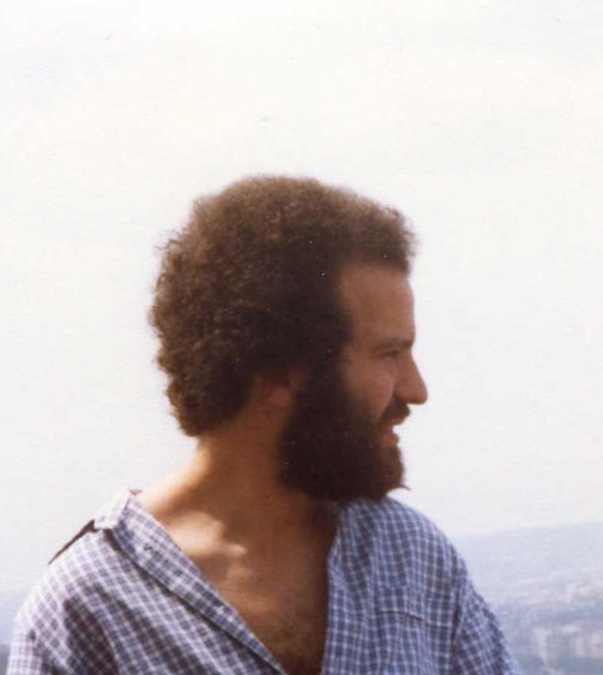 My old friend and colleague Clare Stevens was at the recital by the distinguished French organist Olivier Latry last night and she reports on an incident that has implications far beyond the sound of the mighty "king of the instruments". Latry had planned to play a transcription of The Rite of Spring, apparently originating in the composer's own version for two pianos, four hands, but the programme was changed to Widor's Fifth Symphony. What happened? Clare says: "In addition to referring to his disappointment in very strong terms in his pre-concert talk, Latry read a prepared and clearly very impassioned statement at the start of the second half apologising to the audience especially those who had booked tickets in order to hear the Rite, and explaining that Stravinsky's publishers had withheld permission, on the grounds that it would be an infringement of Stravinsky's intellectual property to play it. Apparently it is OK to play it in the US where the publishers' writ doesn't run. Latry added that he still hoped to be able to come back and play it at the RFH one day, if the rules change." As a TV presenter once said to a tattoo artist, where do you draw the line? On the one hand, it is vitally important to uphold those laws; otherwise it is artists/creatives who lose out. On the other hand, it would also be nice to think there could be some two-way traffic and that an arrangement could be reached whereby an artist as stupendous as Latry could indeed be heard performing a work like Rite, especially for such a special occasion (apart from anything else, imagine all the work he must have put into learning the thing). Where dedication and tribute is surely a motivation, in the context of the very top level of the world's organs and organists, shouldn't the situation be rather different from the more widespread acts of piracy, cheating and unauthorised exploitation? But meanwhile this Rite - with a certain irony - had to be sacrificed. The organ festival - which runs til June - continues this weekend with Cameron Carpenter (yes, that guy) improvising a live sound-track to the 1920s German Expressionist film classic The Cabinet of Dr Caligari tomorrow night, plus fun and games all around the centre including free taster organ lessons. Check it out here. As The Rest is Noise at Southbank Centre reached the 1970s, the composer Sofia Gubaidulina arrived to talk to us about spirituality in music. With Dr Marina Frolova-Walker from Cambridge to translate for her, this living legend spoke not only of those times but current ones as well; and she articulated some deep-seated truths about composition and culture that I suspect many of us sense but could scarcely express so well. Today, Gubaidulina said, is the most dangerous time humanity has ever faced, because we are facing "the global impoverishment of the human soul". We are in danger of losing the most human part of ourselves. Art, she suggested, is always spiritual, because it springs from the subconscious, intuitive part of the mind. It reconnects us with a higher power, the higher part of our own spirit. This also serves as a moral force: she suggested that those who have lost touch with this aspect of art/culture exist without the knowledge of humanity's sensible limits, and she added that she sees such people around her all the time. Art, however, can be our "salvation". The talk should in due course be available to listen to on the TRIN website and I'll post a link when it is up. Read more about Gubaidulina in this wonderful interview, and don't miss her violin concerto, 'Offertorium', which is to be performed on Wednesday night at the RFH, along with three works by Arvo Pärt. The second part of the Southbank Centre's year-long celebration of the music of the 20th century kicked off on Saturday. And as it did so, the venue released figures that prove beyond reasonable doubt that this extraordinary festival, The Rest is Noise, has not only been succeeding in attracting new audiences, but doing so as if there is a tomorrow after all. 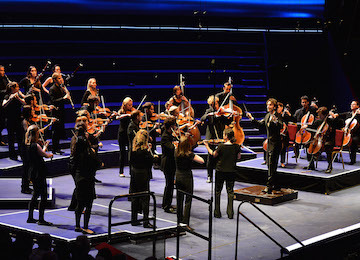 In short, three-quarters of people booking for these concerts had not bought tickets for a contemporary classical event at the Southbank before. The place has sold more than three times as many tickets for contemporary classical music during the festival than they did in 2012. About 39 per cent [update] of those booking for concerts had not been to any classical concert at the centre before, and one in three people booking the whole-weekend tickets had never been to the Southbank Centre before at all. The wake-up call is so loud that The Rest is Noise amounts to a virtual thump on the head for the musical world - or, indeed, a kick on the backside. We can't afford to ignore such numbers. And that's why programming may never be the same again. There's been a buzz around The Rest is Noise unlike anything I've encountered within these hallowed (?) portals in 40 years. The RFH was bursting at the seams for Britten's Peter Grimes on Saturday night, but the ferment of activity in the surrounding weekends of events - like this one devoted to the Britten centenary, including films, talks, more concerts (Noye's Fludde notably), 'bite' events (15-min talks on different yet related topics) - also feels more like the Edinburgh Fringe or Hay-on-Wye than a stuffy old arts centre. Hopefully those last four words are ones we'll never have to see together henceforth. 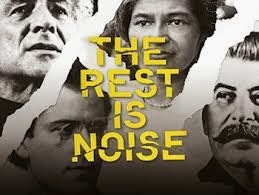 I had a chat with Jude Kelly (artistic director of Southbank Centre) and Gillian Moore (head of music) about what they've been trying to do with The Rest is Noise, and why. You may remember that a few years ago Daniel Barenboim did the complete Beethoven sonatas cycle at the RFH in two weeks. At the time, I wrote this article, declaring that the runaway success of the series proved that what really draws audiences in is anything but dumbing down: instead, we long for the big, immersive, profound experience, where you give a lot and reap more than you sow. It turns out that this wasn't a coincidence. "When I first came in as artistic director, the first thing that happened in classical music was that an agent said Barenboim was going to do the Beethoven sonatas over a year," Kelly says. "I said: no, let’s do it over a fortnight. They thought that was too much to offer; I said no, that’s what we want to do. And it was a huge success. That gave me the courage to think that these big ideas are what we should be championing." Gillian Moore adds: "The idea of programming 20th-century music boldly and constantly is for me so strong – I’ve always tried to do that. But this is a very big idea that really can help us achieve it. Linking with Alex Ross’s book, we’re not slavishly following it, but using its atmosphere as a stimulus. It’s all about putting music in its cultural context of history, science, what was happening, what people were thinking, at the time." She continues: "Music is not isolated from the world of ideas. Sometimes in classical music we can behave as if it’s its own thing, going along on tram tracks without relating to intellectual ideas. But talk to any composer about politics or life sciences and it absolutely does. So to appeal to people who are culturally curious, but who might think classical music is not for them, especially 20th-century classical music, we are talking about more of our music being linked to broader cultural questions." Kelly, who has been artistic director of the centre since 2006, says she is often struck by how many extremely well-educated people, interested in theatre, politics, economics, history, science and more, tell her that they never attend concerts of classical music. "But all of that makes up music - so let’s contextualise the whole thing," she says. If you only want to listen to the music, that's fine, of course; but now there has to be a further option as well. 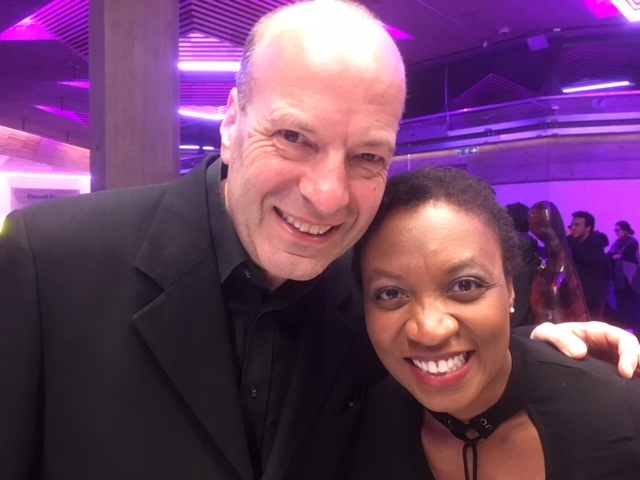 "I can't speak for other places, but for Southbank it provokes the question that doing a single concert with no other information around it other than programme notes isn’t a proper offer," she says, when I ask what the implications are for future programming. 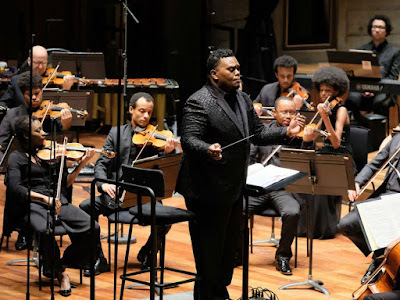 "If any of the orchestras want to do that, it means their assumption is that the audience is already familiar with the repertoire or are certainly very comfortable with classical music. "My passion is about how you reach lots of other people who aren’t familiar and aren't comfortable. Obviously just playing the concert in itself hasn’t been doing that. I’m very committed to extending this idea of the wide open school, the offer to do music studies and history studies and science studies all in one go - and making the live performance of music and contemporary dance and contemporary art a central way of understanding how our societies work." 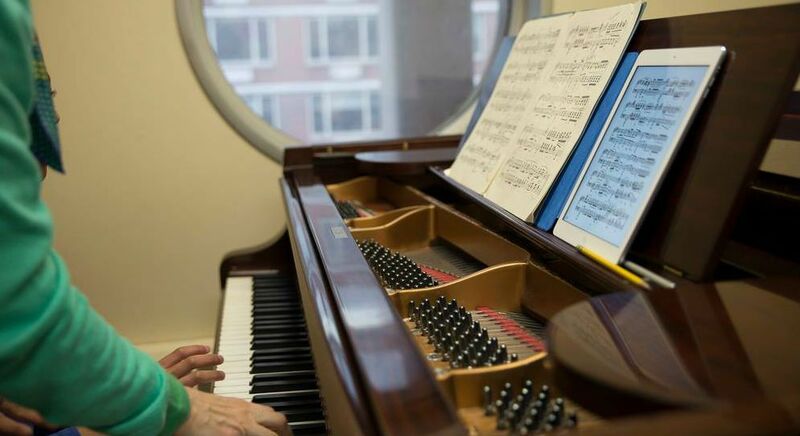 Having had no thorough academic musical education at college level, she adds that when she wanted to fill in the gaps, the solution she was looking for simply didn't seem to exist: "a course on how you learn and understand the history of classical music". This education is what's been lacking; this is why so many people, when you tell them you're involved with classical music, look afraid and say at once, "I don't know much about classical music". That absence of knowledge intimidates them and, instead of proving an attraction to learn something, it keeps them away. "I’m interested in the fact that people are excited by the complexity of science and the complexity of ecosystems, but classical music, which is a version of all of that, stays away from them," Kelly says. "We’ve partly got ourselves to blame - the art industry has often spoken in language that suggests this is for people with fine feelings or that you have to go on some sort of escalator before you can get there and people don’t know what the starting point is." "I think we’ve got to be much more welcoming and much less judgemental," Kelly adds. "I think we can seem judgemental about people who don’t know much about classical music. We should say, 'Great, if you don’t know anything about it then you won’t have any prejudices...'" The Rest is Noise website is a huge bonus where this is concerned, preserving many of the talks, "bites", etc, on demand. Visit the Explore section here. The bonanza of this festival, which includes study evenings, "breakfast with..." sessions exploring the technical workings of music, screenings of films, events for children, and countless other elements, may not be easy to replicate elsewhere - though I'm sure that this is just the beginning for the Southbank. Still, the thinking, and the resulting sales, carry a few big, strong simple messages for all. It's about having courage to think big and to lead from the front. "The big lesson for me is about the scale of an idea," says Moore. "Sometimes you have to do something really big and bold for it to cut through." The full programme for the rest of the Rest is here. And now we've reached the point where many of the composers are alive and some of them are kicking. We can certainly expect to see Philip Glass, Steve Reich and Sofia Gubaidulina in London in person for good chunks of the next part. What of the future? Don't dismiss this event as a one-off. What's become clear is that the rest is just not noisy enough.